Electrobit OÜ offers factory automation and industrial communication products from worldwide leaders in Estonia. Our strengths lie in deep technical knowledge, best customer support and passion for new technologies. Electrobit OÜ was established in 2006, when Swedish company Beijer Electronics bought an automation department from UTU Electrotehnika AS and founded Beijer Electronics Eesti OÜ. Being part of Beijer Electronics made us to grow stronger and bigger, allowed us to expand our product portfolio and customer base. In February 2016, when Beijer Electronics group was restructured, we left the group to form a new company Electrobit OÜ. Our strengths are deep technical knowledge, best customer support and passion for new technologies. We also have a big local stock which makes us fast in catering to our clients´ needs. We have been a succesful distributor of Mitsubishi Electric´s factory automation products since UTU Electrotehnika times. Mitsubishi Electric is well known for their leadership in innovation and highest quality products possible. 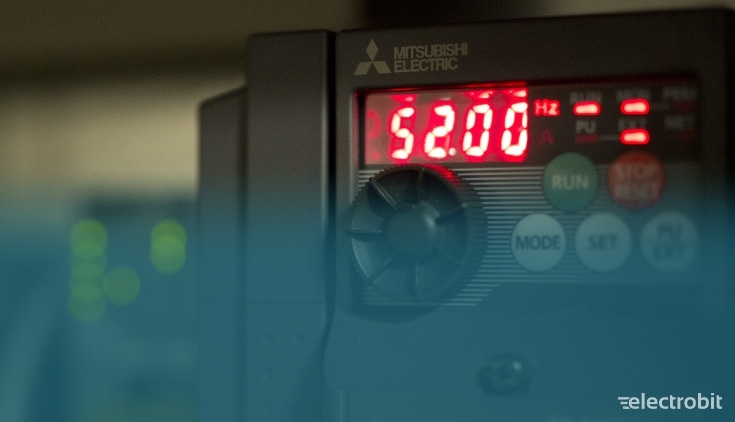 Electrobit offers complete range of factory automation products from Mitsubishi Electric, but most popular are frequency inverters, PLCs, HMIs and servo drives. Electrobit is also a distributor of Beijer Electronics (HMIs, high protection class frequency inverters), IDEC (relays, push buttons, light towers, sensors), Westermo (industrial data communication devices) and Tosibox (remote access devices). We also offer Power Electronics products (softstarters and special frequency inverters).